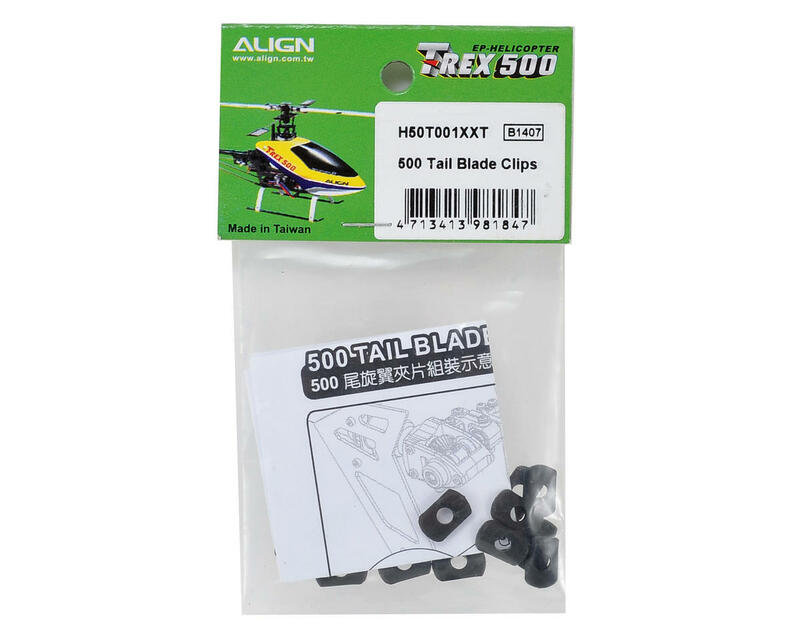 This is a pack of sixteen Align 500 Tail Blade Clips. 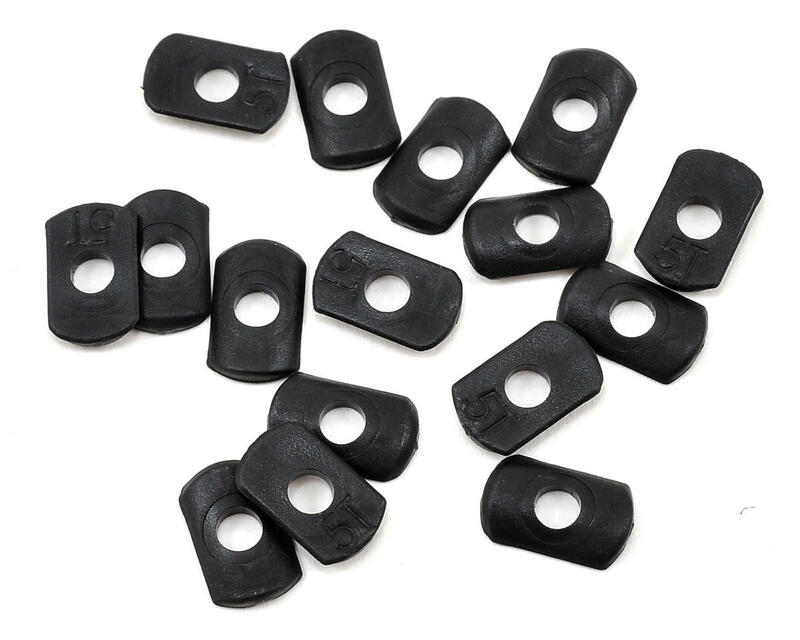 These Tail Blade Clips are made from a high strength composite plastic steel, providing a larger contact area between clip and blade. This not only increases its grab reinforcement and makes rotation smoother, but also prevents the rotor holder from rubbing against the painted surface of the blade, causing in flight vibration.